We lost the 'Hot Rod' thread in the Great Crash so I'll start up another one here. We've been tying up a lot of loose ends on the boat since the Gathering. Finally installed the under-deck flotation billets over the weekend. We're pressed for time right now, so the photo captions will have to wait until after the holidays . . .
Merry Christmas to all from the Great White North ! 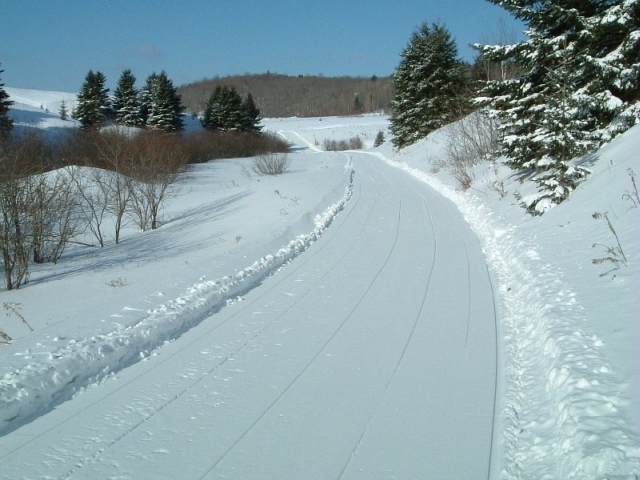 Those snowmobile trails are beckoning . . .
Last edited by Mr Hot Rod on Thu Jul 03, 2008 10:05 am, edited 2 times in total. Paul, the Hot Rod looks great. Your doing a wonderful job on it. Nice project there, good looking job. Nice website too, easy to surf around your site. Good luck in the New Year. .........will you be bringing it to the Gathering, and Bruce bring the photo board? How much foam do you have to put in by law over there? In OZ we have to put in enough so that the boat floats after it's swamped. Which means including the weight of motor, petrol, max number of people and gear etc. I wish i thought through this before i put put the deck on my Rebel. I should have made some cavities to pour foam into, rather than trying to cut and fit sheet foam afterwards. Nice build. Look forward to seeing the finished product. Very professional. Let me dip my toe in here and add just a couple of thoughts for folks that have already built a hull and want to add any flotation to them. 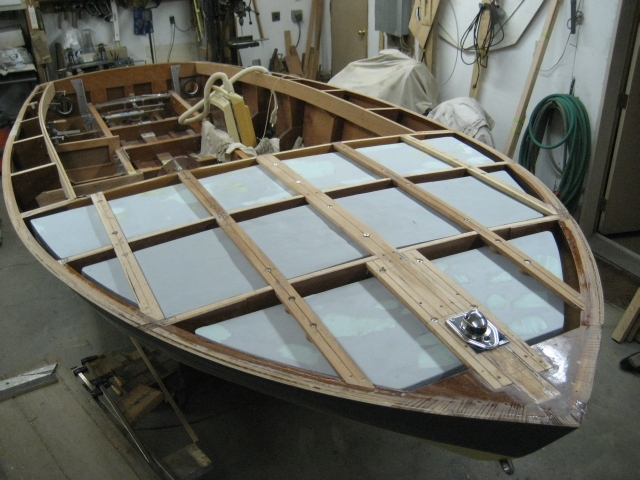 In the case of a boat that has covering boards or decked over, numerous hulls in the olden era of small runabouts had foam block installed under seat thrwarts or under the covering boards which can be prefabbed now and installed. You can make a crude mould and use the good poured foam or use even the blueboard layering pieces together, cut to fit, and tabbing the stuff together. You can also use pingpong balls in small areas so if you ever need to service an area you can remove them easier. You can also use small flotation bags which is a favorite for sailing dinghys blown up and installed and tucked away in hidden areas too. Personally I am not a fan of tight fitting poured foam simply because of the servicing and repairing issues that are required somewhere down the road even though legal begals require the stuff to be mentioned. I am actually a fan of having flotation higher up in the case of swamping since most of the hulls that gets built using plywood and frame construction does not have sealed decks like simular small craft of solid fiberglass hulls either. All you do is restrict access to semi open areas in some of these type of hulls. just my .02 worth in the area of adding foam products to wooden hulls. Kens : ... will you be bringing it to the Gathering, and Bruce bring the photo board? Gravel : How much foam do you have to put in by law over there? Roughly the same rules apply up here if you're going the registration route. Way easier to fit this stuff in while you're building the boat. It could be retrofitted later on, but I wouldn't have the patience for that ! I'm also looking forward to seeing the finished product and starting the next one. You've done a great job on the Rebel in a very short period of time. I hope you know what you're getting yourself into by inviting Leakcheck for a visit . . .
Paul, we're either going tomorow or Saturday to pick up the wood and ply to make the frames. I want to have them done before the spring so that I can jump into the build as soon as it warms up somewhat. We're aiming to have the Reb complete for the next gathering. Last edited by Nova SS on Fri Dec 28, 2007 6:03 am, edited 1 time in total. Mr Hot Rod wrote: I hope you know what you're getting yourself into by inviting Leakcheck for a visit . . .
....uh, really GREAT chicken, maybe? & a 12'deep hole full of.....never mind!!!! Don't forget, While packing for the trip; to bring an extra grass skirt and coconut bra for Warren and the other fellas (He neveer goes anywhere without one) Be sure to get plenty of pictures..
Marshall Islands, R. M. I. Now that the snowmobiles have been put away and Bruce has committed to Guntersville , it's time to post another project update. 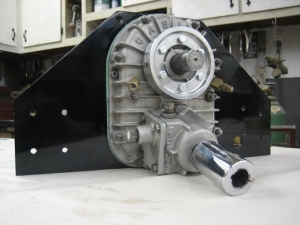 We've rebuilt the v-drive and are getting ready for the final installation next weekend . . .
Last edited by Mr Hot Rod on Thu Jul 03, 2008 10:06 am, edited 1 time in total. looking good Paul. Can't wait to see pictures of it in the water. Great to hear from you. By co-incidence, the girls were asking about you at dinner tonight. They say "Hi". Very cool Paul. The latest photos are great. Don't forget to post some videos when you launch. I can't wait to hear those mufflers! Great to hear from you. By co-incidence, the girls were asking about you at dinner tonight. Uh oh . . . I can imagine what the conversation was about . . .
First topic would be the irrevocable progression of your boatbuilding addiction. Next would be the realization that you're going to be launching this summer and they're going to be cruising, tubing and skiing in the coolest boat on the lake. I bet they were even considering making the trip with you to Guntersville next Fall ! Best regards to all !